This is a die-cut M.K.T. Lines porcelain sign. This particular M.K.T. sign is red and beige. 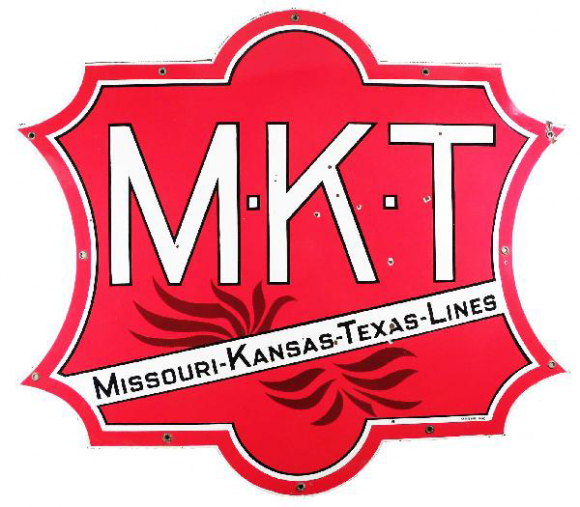 It reads, “M.K.T., Missouri – Kansas – Texas Lines”.